CALL 512-549-6406 AND STOP WASTING ADVERTISING DOLLARS AND START INCREASING LEADS! Learn How to Double Your Leads! We Are The #1 Pool Builder Marketing Firm in the World! 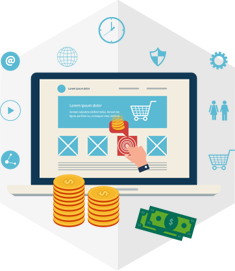 A lot of business owners are turned off when it comes to the pay per click discussion, otherwise known as paid ads, or adwords, or ppc. They don’t want to pay every time someone visits their website. Why should they pay for visitors? They paid a lot to build their website, and it is live on the internet, and you can visit is right her for free by going to www.mywebsite.com. Free! Why pay for visitors? – search engines are for people who are looking for something, aka, customers who are interested in a product. These are not referrals who already know your name. These are people who have an interest in a product/service, and they are using the most popular search tool on the planet for a company to do business with NOW. They are ready to buy, or at the very least, they are looking to educate themselves on what they are interest in buying. If you are not on the search engines results when they search for you, then you have 0% chance of getting that person to do business with you. 0%. This is targeted marketing. Are you there when they search? – let’s say you are one of the few businesses that are lucky enough to have google place you on the first page of search results. Well done! This is something to celebrate. But if you are not doing ppc ads, then you are still losing opportunity. There are always 3 ppc ads on top of the organic results. Not only that, if you take a look at the google results page, you will see that an average searcher has over 20 businesses to choose from to do business, and only about 13% of the listings that are shown above the fold are organic. The smart guys are in both the paid and the organic areas, because they know that this double’s their chances of getting the valuable click and push your competitors off the page. Double the chances of getting a lead in your door. 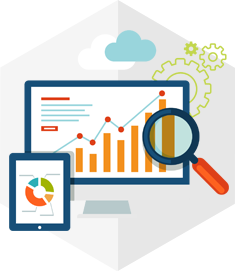 Those are 3 solid reasons why your business should be utilizing ppc on Google and the other search engines. If you are not currently, and you want tips on how to do it correctly, check out our 19 biggest mistakes people make when running a PPC program. It gives you the best practices on how to run your campaign, and also shows you mistakes to avoid while running your campaign. If you would like our assistance on getting started, we would be happy to help. And the money you save by hiring us will greatly account for the potentially thousands of $$$ that you could lose by doing it yourself the wrong way. By the way, shouldn’t you be spending your time on what you do best – running your business? Step by Step – How to Double Your Leads! Don’t forget to pick up our free case study on how one pool builder increased their leads by 340% by implementing a small change on their website. Get it below! Is your business struggling for leads? Could you use more, better qualified leads? Are you sick of spending money trying to figure out what works? Well look no further! 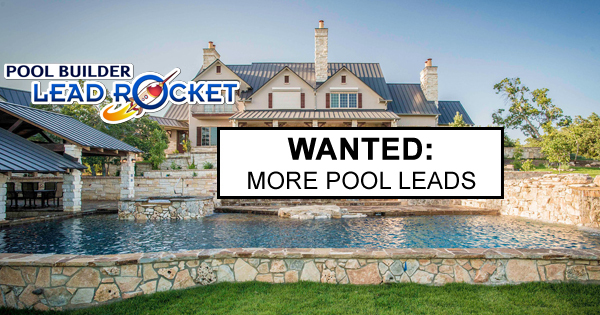 Pool Builder Lead Rocket can solve all of your problems. The Google AdWords platform allows businesses to bid on keyword phrases that are relevant to their product and services– the higher the bids. Remarketing is the best branding tool that exists and it is essential for pool builders. A visually engaging website is the first step in engaging a new prospect. We’ve helped hundreds of clients build beautiful websites. 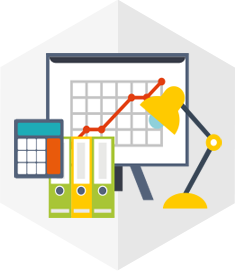 We have the tools to take your business to the next level. No contracts, no cancellation fees. You only pay for performance. Our pricing is based on multiple factors, the best way to get a custom price quote is to let us know what you are looking for. Don't worry, we are not pushy but we are thorough so please provide your name and email and we will setup a time to talk and get you the best quote possible! Let us show you how we have helped 100's of pool builders just like you increase leads and sales.